In the previous two articles (1 and 2), we looked at the state of play in the UK corporate pensions world (pretty bad) and what could be done top-down to fix the problem (change the way that liabilities are calculated and funds are invested). Today we’re going to look at the problem from the bottom up. With perfect timing, the Pensions Institute last week released a discussion paper called “Milking and Dumping – The Devices Businesses use to Exploit Surpluses and Shed Deficits in Their Pension Schemes”. It’s a 33-page report with no pretty pictures, but we won’t let that put us off. It’s aimed at “DB trustees, sponsoring employers, advisers, policy-makers and regulators”, but let’s take a look and see if there’s anything useful in there for Private Investors. They appear to be sponsored on a report by report basis, which is probably as good as it gets. Quite a few pension fund managers and companies with pension funds in there, so not totally objective. They produce a lot of reports. Today’s report is by Keith Wallace, who is President of TACT – The Association of Corporate Trustees. He also chairs the Legal Advice Panel of TPAS, The Pensions Advisory Service. As we said in the first article in this series, DB pensions in the UK are – for a variety of reasons – in trouble. In December 2015, the Pensions Institute published The Greatest Good for the Greatest Number. This found that up to 1,000 DB pension schemes were at “serious” risk of falling into the Pension Protection Fund (PPF). Over the next few months, the problems with three of these schemes (British Steel, Austin Reed and BHS) became high-profile. Although the paper has been produced in response to current events, it is as much a history lesson as a prescription for how to fix pensions. Companies became obliged to fund a pension scheme – which had to be approved by the tax man – from 1921. 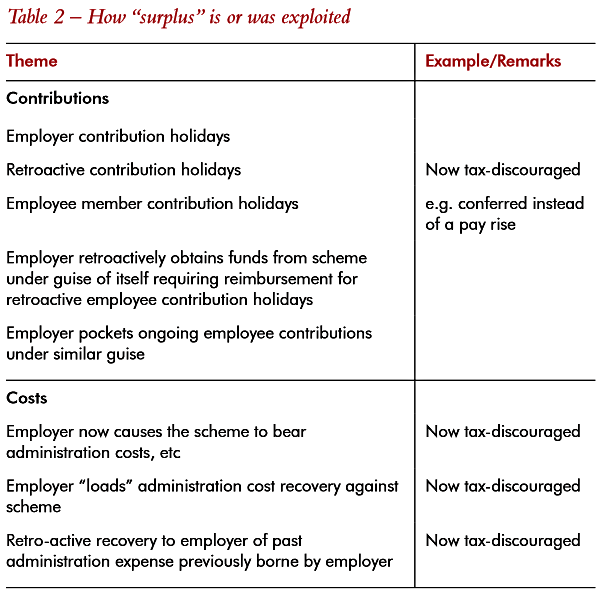 Until 1995, the timing of contributions to the scheme was left to the employer. 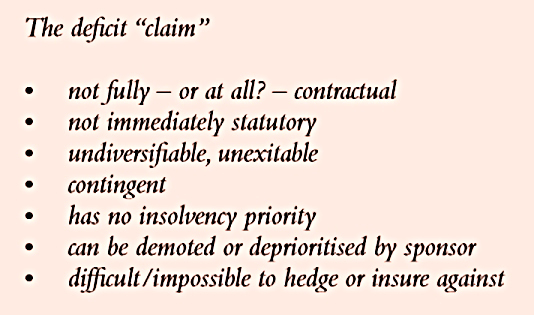 Over time, segments of the scheme which replicated state benefits (eg. SERPS) were prioritised and their funding adequacy was regularly reviewed. After Robert Maxwell was discovered to have stolen from the Mirror Group, the Goode report (1993) recommended that funding shortfalls below 90% be rectified within 3 months. Adequacy was measured against transfer values for active and deferred members, and replacement annuities for pensioners. Levies to the PPF would be based on credit and solvency ratings, encouraging employers to fund fully. Schemes would be given five years to transition to this new scheme. In the event the funding requirement was diluted on three occasions by the government, to the extent that schemes with “100% MFR funding” were found to be only 50% funded against replacement annuities. An active DB pension scheme has a series of liabilities potentially stretching out for 80 years or more. Even the closed schemes of today have 30 years and more to run. As we noted in our previous articles, there is no simple way to decide if such a scheme is in surplus or deficit. We will only really know if the scheme is in deficit or surplus when the last liability has been paid, or when the last asset has been used up before reaching that point. The assumptions made in valuing the assets and liabilities will determine whether the scheme is deemed to be in surplus or deficit at any other point in time. Following the introduction of the PPF, a third state emerged: in deficit, but not so much that the 90% pensions under the PPF could not be funded. 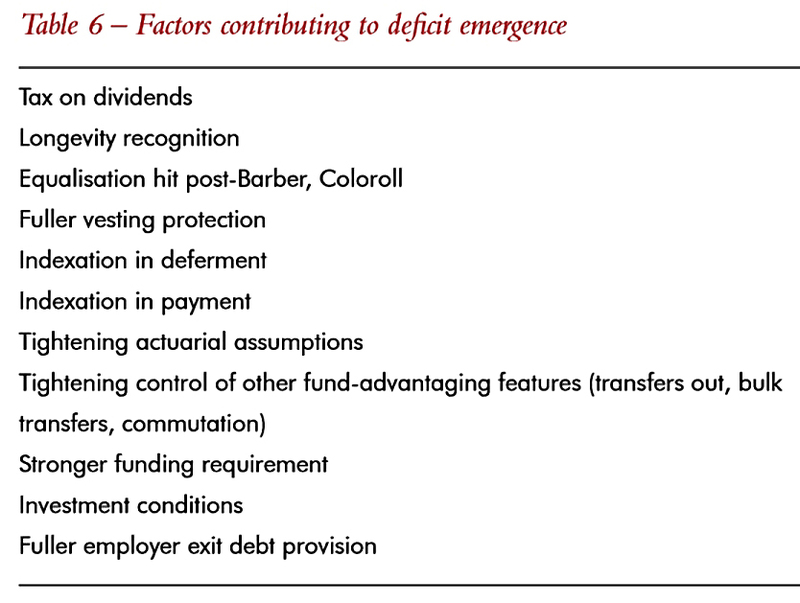 From 1995, schemes in deficit after a three-yearly valuation have to form a “recovery plan” to restore balance. 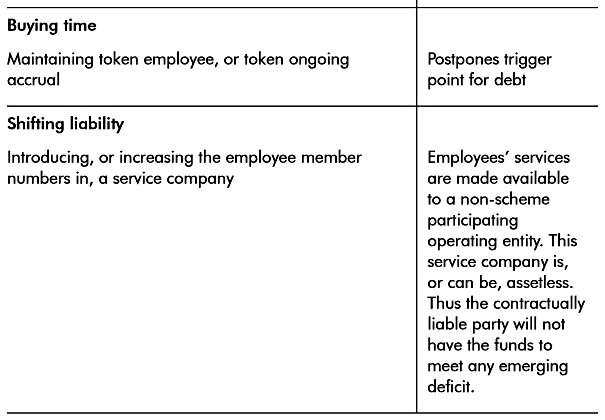 Note that future contributions from the company are not legal debts, unlike contributions that are overdue. Nor are they prioritised in the event of the parent company becoming insolvent. Bigger schemes cause bigger problems, as the difference between two large numbers (liabilities and assets) can itself be a large number. Not only did the size of individual schemes grow, the size of the UK sector – and hence the size of the current problems – has also grown massively. One factor was the number of members – up from 200K in 1953 to 3M in 1991. This was facilitated by joint ventures, subsidiaries and industry associations being allowed to join existing schemes and set up schemes across multiple employers. Obviously in the primary sense of providing workers with a retirement income, this was a good thing. Problems began to arise when employer exited these schemed without leaving behind enough assets. 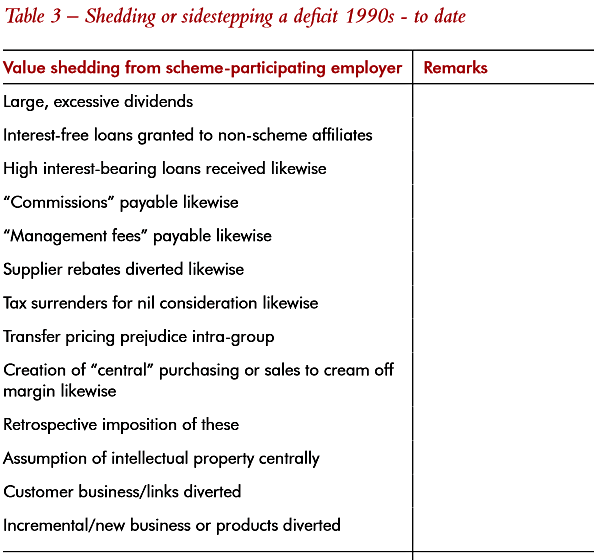 Despite this, actuarial rules and strong investment returns meant that many schemes still showed surpluses into the 1990s. This only encouraged further lax treatment of exiting employers. And finance directors began to see large schemes in surplus as exploitable assets. Many schemes were initially sub-contracted to life insurers, and funded using low-return (but safe) bonds. 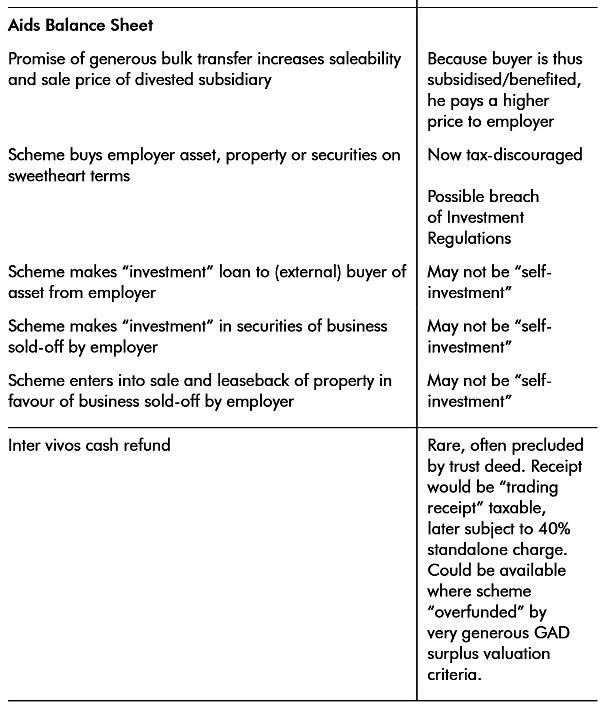 As schemes got bigger, employers brought them in-house, using their own investment managers and actuaries. Higher returns were targeted and actuarial assumptions weakened. This made pension provision appear “cheaper” to the company. Until 1975, there was no pension guarantee for early leavers. When this was introduced, so was an initial “qualifying period” of up to 5 years service. Keith provides a handy table (Table 4) summarising examples of exploitation. It’s three pages long, so I won’t reproduce it here. The Goode reforms, after Maxwell, successfully controlled the worst (particularly the criminal) abuses. The “exploitation” of emerging surplus, if surplus it really was, could in some instances be defended ­ or commended for example, where it extended the overall workforce’s benefits, albeit through dipping into the security of existing beneficiaries. Keith also includes a table (Table 6) summarising how deficits arose. A loss of one-quarter of a long-term future income stream ought to have been immediately recognised as raising the cost of future liabilities by one-third. Increases in life expectancy were regularly discussed, but constantly underestimated. The “Barber ratchet” – which gave women the same benefits as men – was also a factor. Surpluses began to turn to deficits around 2000, and by 2003 these deficits had to be disclosed on the balance sheet. This was potentially an obstacle to companies raising further credit. From this point, all M&A activity came under scrutiny for pension risk, and acquirers looked to shed the risk. Strictly the pension debt belonged to the employer only, and not to a new owner. Nor was there a legal limit as to how low assets could fall relative to liabilities. Subsidiary directors must do as the parent company wants, even if that includes transferring assets or liabilities to another subsidiary at a non-market value. Table 3 (repeated as Table 7) summarises the techniques used. The pensions debt should be given priority over all other creditors, including secured ones. This would motivate the demoted creditors and stakeholders to fix the problem. “Non-amendability” rules for scheme benefits should be relaxed. This would mean that benefits could be reduced in line with a “market value adjustment”, as in most life insurance contracts. There would be a similar “crawling peg” which moved benefits up or down according to the state of the scheme’s funding. Scheme retirement dates should automatically track rises in state pension age. parties (eg. parents and other subsidiaries). In contrast, the USA’s Pension Benefit Guaranty Corporation (PGBC) is able to claim up to 30% of a company’s net worth to make good a shortfall. This paper is much more of a history lesson than I expected from the newspaper headlines it generated, but there are a few nuggets right at the end. The number one change would be to make the pension debt a priority. The second most important change is to make the pension debt applicable to the whole group. That way acquirers would know that they couldn’t shed it. It’s also a good idea to raise retirement ages along with the State Pension age. I’m less keen on retrospective changes to benefits for scheme members. Adjustments would definitely improve the state of the scheme, but only in the same way that insolvency and / or transfer to the PPF does – by paying out less money. Perhaps a compromise would be to guarantee benefits that have already been accrued, and amend those for future years according to the state of the scheme. A bolder move would be to allow schemes in crisis to move away from final salary and career average salary calculations. 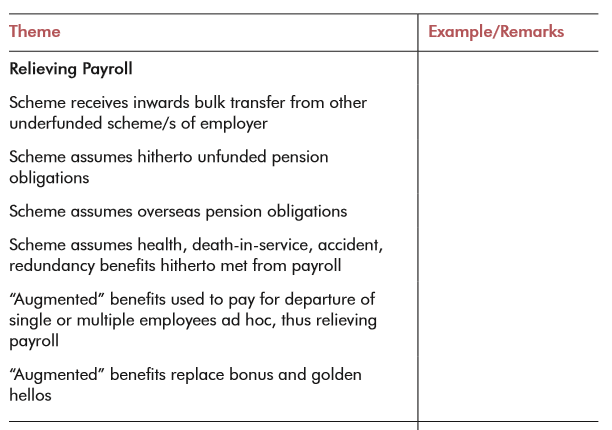 These mean that a scheme is always adding more to the pension pot of a long-serving employee to make up for “shortfalls” in liabilities from past years. Switching to current salary for calculating additional benefits would mean that previous years would never need to be revisited. I also think that the PPF should be empowered to block mergers and acquisitions where the combined group’s schemes don’t look strong. In particular, the sale of a subsidiary with a large deficit to a weak buyer, should – as Keith points out – be a red flag. In the next article we’ll look at some case studies from the UK of pension schemes gone wrong.